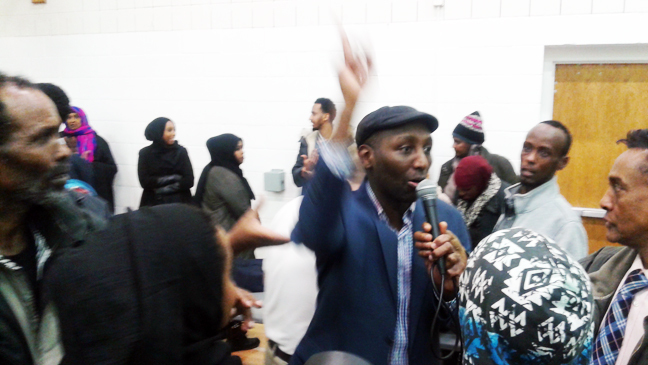 East Africans who came out to caucus on Tuesday night were met with long lines at the Brian Coyle Center in Minneapolis as was the case in caucus sites around the state. At the presidential level, Bernie Sanders cruised to an easy victory at Brian Coyle. 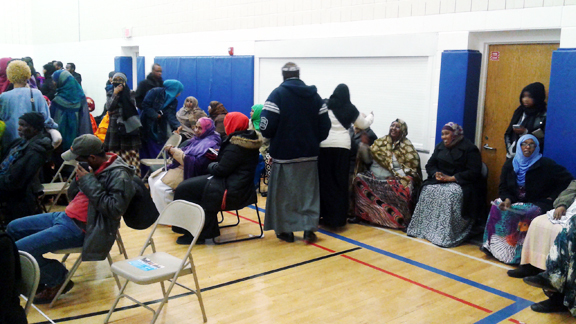 But the interesting aspect of the evening that animated many of those who came out braving the cold was the opportunity to caucus, or to use the proper term, sub caucus for one of two Somalis that want to unseat the longest serving state representative in Minnesota, Phyllis Kahn of District 60B. Kahn has served a record 21 straight terms. Clinton made a last minute dash to the Twin Cities Tuesday afternoon for last minute campaigning but the memory of that quick stop was a terse exchange she had with a young activist widely circulated on social media where she was widely panned as talking down to the activist. (DISCLOSURE: The activist is related to Mshale Founder and Publisher Tom Gitaa). 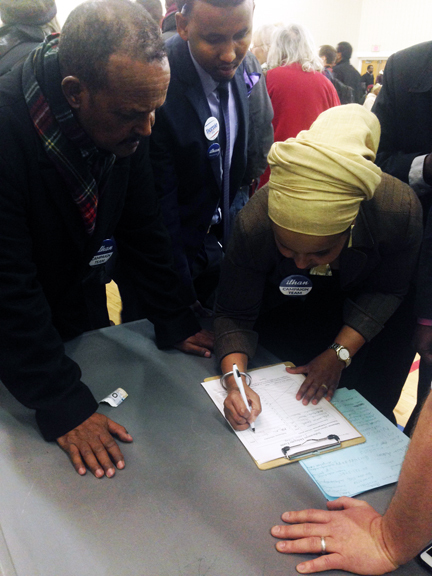 The Sanders and Clinton campaigns had strong representation at Brian Coyle but they were equally matched by the contingents for the respective candidates running for state representative, Ilhan Omar and Mohamud Noor. 70-year-old Salado Yussuf had a simple method: she did a coin toss to determine whether it was Omar or Noor. 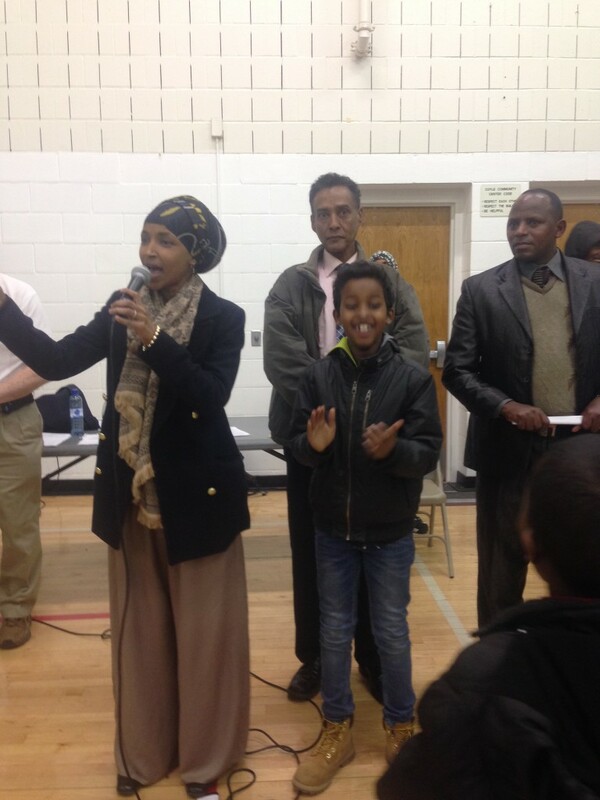 “Mohamud got my vote,” she said. At the end of the night however at this precinct, Noor received 330 votes to Omar’s 162 and incumbent Kahn 21 votes. With delegates allotted proportionally, Noor, Omar and Kahn were awarded 17, 9 and 1 delegates respectively. Nearby University of Minnesota with thousands of students leans heavily for Omar, she were expected to fare better. One caucus participant Matthew Ogbeifun posted a Facebook message that at St. Lawrence Church in Dinkytown where over 2,000 students from nearby University of Minnesota showed up to caucus at the 187 capacity church, Omar won all 22 delegates that were at stake. Numbers from other precincts within 60B were not immediately available but will be updated here as we get them. 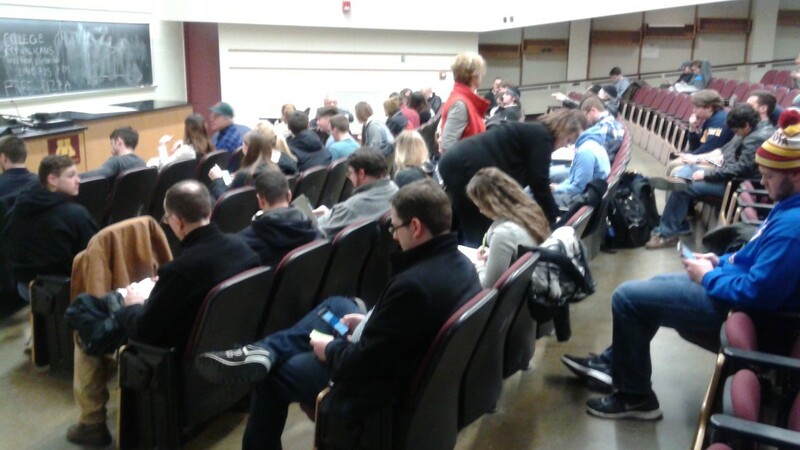 At the Republican caucus two blocks away inside the University of Minnesota, long lines marked the night. Within a walking distance of Brian Coyle where the crowd was overwhelmingly Somali who lean heavily Democratic, the contrast was big. 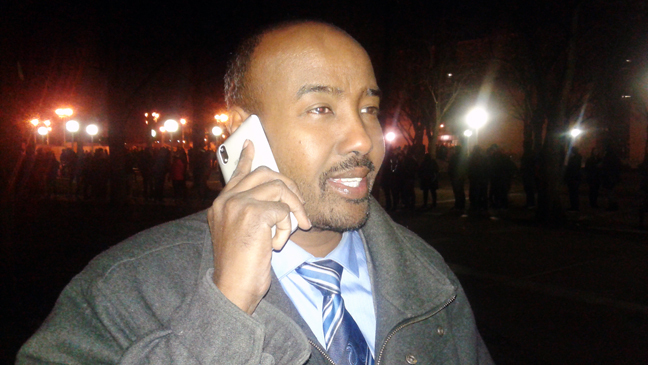 Only a handful of people of color were visible including Abdimalik Askar, a Somali Republican that is running on the republican ticket and will be facing Noor or Omar should one of them be on the ballot in November. This is Askar’s second attempt in the heavily Democrat district. “I am in this to win,” he said. Despite the lack of minorities at the nearby Republican caucus, Hayden Garmon of Maple Grove, a biomedical engineering student at the university said he was caucusing for Marco Rubio as he was concerned with Donald Trump’s anti-immigrant rhetoric. Tom Gitaa contributed to this report.